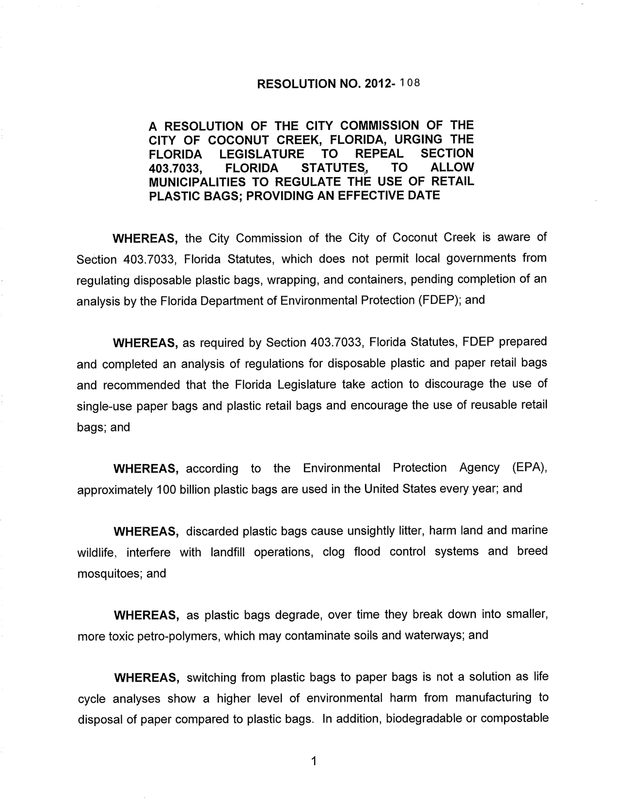 LET FLORIDA’S CITIES & COUNTIES REGULATE PLASTIC BAGS! Did you know that in Florida, it’s against the law for local governments to ban, tax, limit or regulate single-use plastic bags? 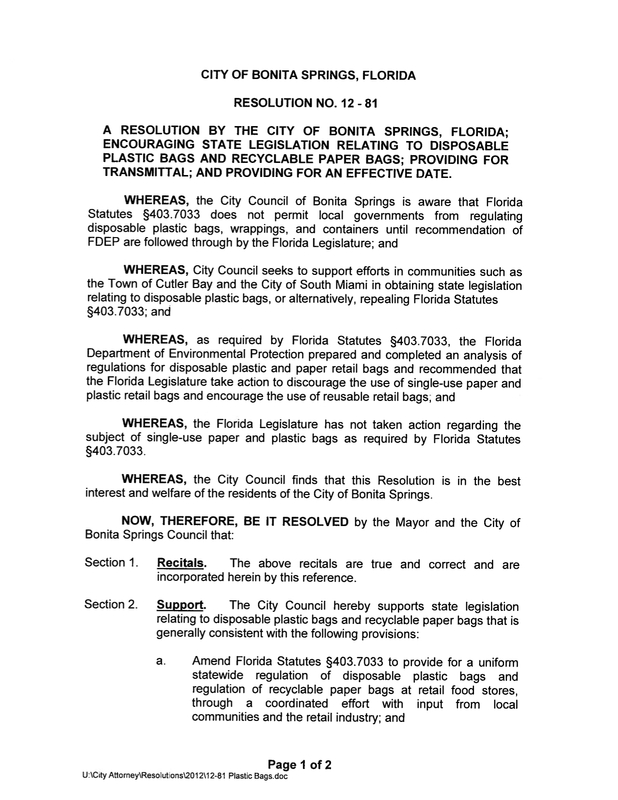 In 2008, Florida lawmakers passed a bill prohibiting local governments from banning plastic bags. That’s why the Surfrider Foundation is fighting to give local governments the ability to regulate single-use plastic bags in their own communities. 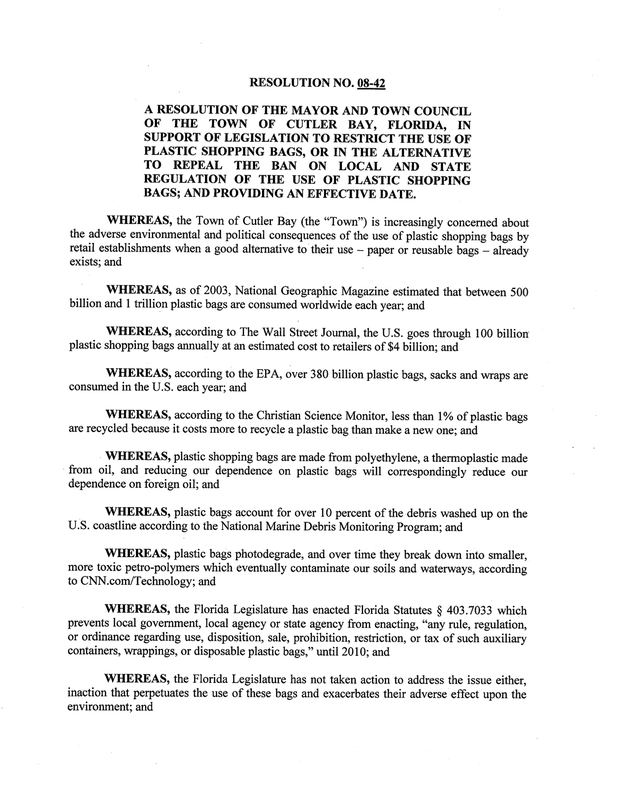 We have worked with the Florida Legislature for the past four years to file bills that would give our coastal towns and cities the ability to ban, tax, or limit single-use plastic bags. Check out all of our campaign information below to learn more, and find out how you can get involved! Floridians generate 32 million tons or two tons of waste per person every year but only recycle 28% of their solid waste. In 2009 about 3.8 million tons of waste plastic “bags, sacks and wraps” were generated in the United States, but only 9.4% of this total was recycled. Plastics comprise up to 90% of floating marine debris. 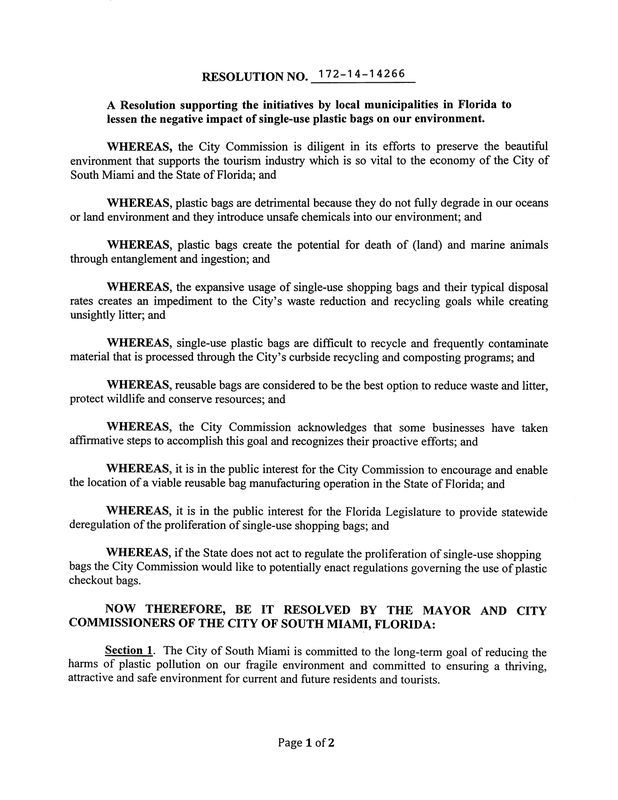 In 2008, Florida lawmakers passed a bill prohibiting local governments from banning plastic bags until the Department of Environmental Protection (DEP) creates recommendations, and they are adopted by the Legislature. In 2010, the DEP completed the Retail Bags Report– strategies to discourage the use of single-use paper and plastic retail bags…. but the Legislature still hasn’t adopted it. Until Legislature adopts the report, local governments cannot implement their own restrictions on plastics, and our trash will continue to multiply. Please contact your member of the Florida House of Representatives and your member of the Florida Senate. Let them know that you want them to take action and regulate single-use plastic bags! Ask them to support SB1014/ HB6039 in the 2018 Legislative Session! 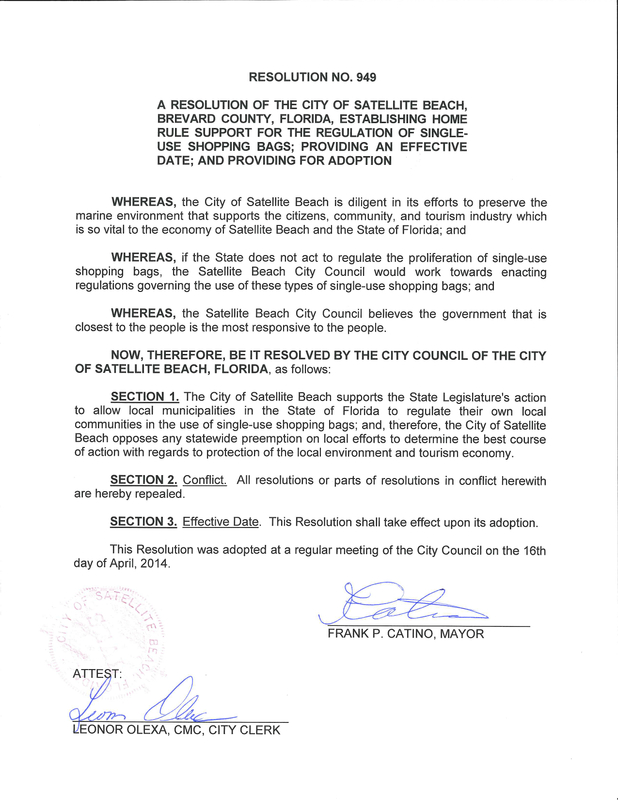 Ask your city or county commission to pass a resolution of support. 30 communities have passed resolutions asking the State Legislature for the ability to regulate plastic bags at the local level. Click here to download a sample resolution of support, and see below for just some of the communities that have sponsored resolutions. Click here to view Section 403.7033, Florida Statutes. .
Click here to download a copy of the DEP’s Retail Bag Report. Click here to download a sample petition. 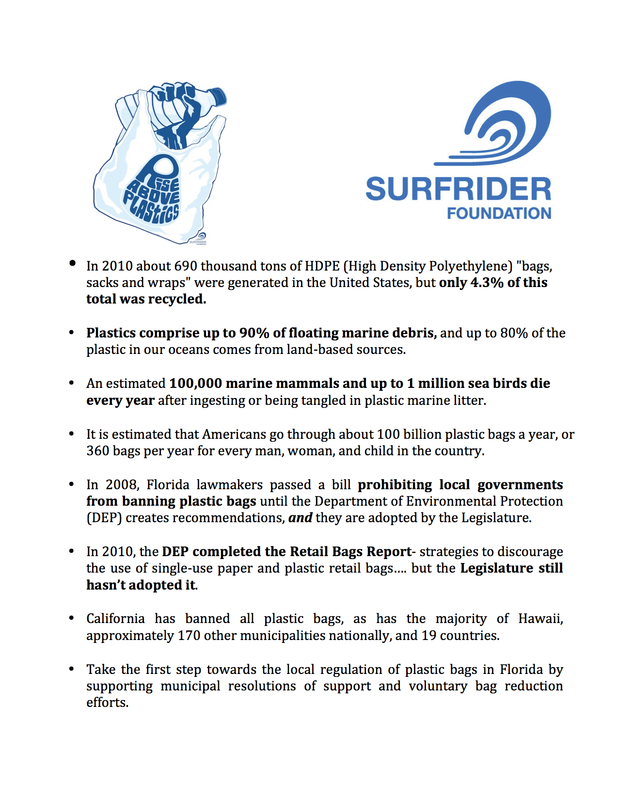 Click here to download a sample plastic bag resolution of support. Click here to download talking points.